It is time to remember one of the best strikers ever seen in French football, the 1991 Ballon d’Or winner, Jean-Pierre Papin. Born on 5 November 1963, in Boulogne-sur-Mer, Papin became passionate about football from an early age and wanted to become a professional footballer. He started his career at Valenciennes in the French second division. Club Brugge noticed his talent and signed the striker in 1985. Papin scored 32 goals in his 43 appearances across all competitions, earning himself a place on the French squad for the 1986 FIFA World Cup in Mexico. He netted twice for his country and won the bronze medal, scoring in the third-place play-off against Belgium. He got the attention of Olympique Marseille and joined them after the World Cup. His arrival was quite tense since the striker had already signed a pre-contract with AS Monaco. However, he completed his move to OM and went on to become arguably the best player in the history of the club. There is the Cruyff turn, the Panenka penalty and – for French football fans – the ‘Papinade’ to describe the spectacular volleys that helped Marseille become the dominant force in France and one of the most formidable clubs in Europe. Barcelona manager Ernesto Valverde can't understand why people are more interested in slamming Philippe Coutinho's celebration after the stunner he hit against Manchester United. Jean-Pier Papin spent amazing six seasons at the Velodrome. He won the French Ligue 1 four successive times in the period between 1988 and 1992 and scored impressive 184 goals in his 278 appearances for Olympique Marseille. The striker also won the Coupe de France in 1989, scoring a hat-trick in the final against Monaco. He played in the 1991 European Cup final but lost to Red Star Belgrade after a penalty shootout. Despite the defeat in the final, Papin won the Ballon d’Or for 1991, which made him the best football player in the World. He joined AC Milan in 1992 for a world record fee (at the time) of £10 million. The Frenchman signed for the Rossoneri to win the Champions League, but his former side Olympique Marseille did it without him instead, defeating Papin’s Milan in the final back in 1993. Papin won the Serie A in each of the two seasons he spent in Italy and finally won the Champions League in 1994. 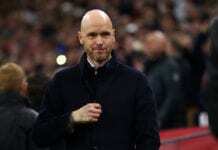 He returned back home in 1996 following a two-year spell at Bayern Munich. The striker signed for Girondins de Bordeaux and netted 22 times in Ligue 1 for the club, making his total tally of 156 goals. 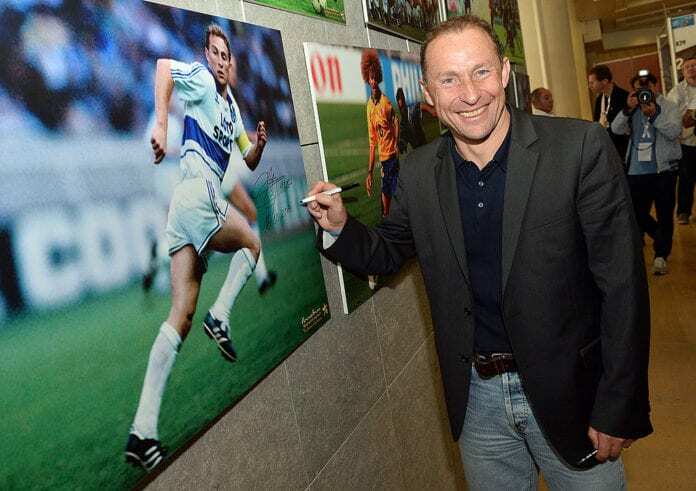 Jean-Pierre Papin was the best goalscorer of the French league for five seasons in a row in his time at Marseille and he will always be remembered as one of the best forwards in the history of Ligue 1.